Brian McCormicks Kustom GMC for Truckin. This is the first vehicle to use the "Swiss Cheese" graphic that has been one of the most copied effects to come out of Kal Koncepts since the slash stripe. 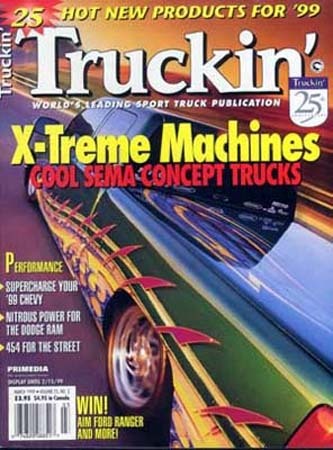 Last feature vehicle done before Brian, Courtney, and Steve Stillwell went to Visionary publications, and Streetrucks Mag. Let us kustomize a cover truck for you.